Pope Francis has said it is better to be an atheist than one of the “many” Catholics who live a “scandalous” hypocritical life. 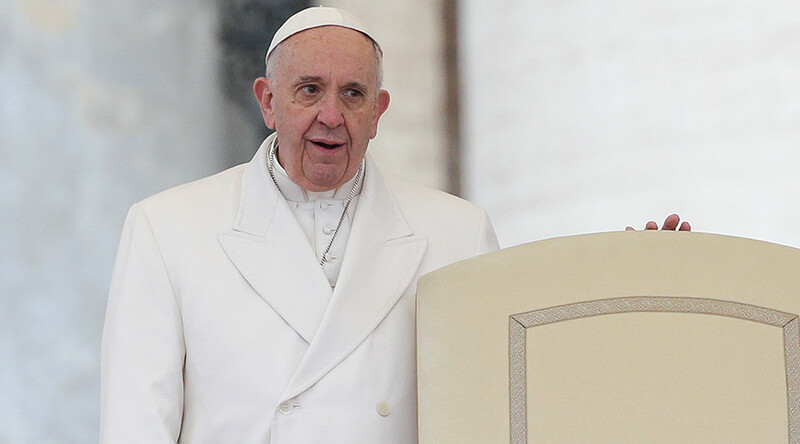 Pope Francis has previously lamented parishioners who become “parrots” who indulge in prayer but do not perform good deeds in the service of God. 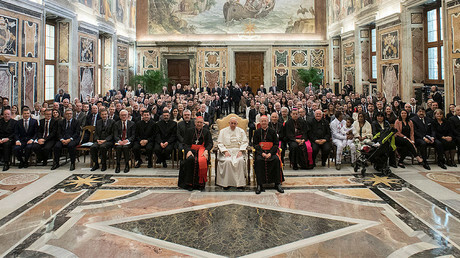 “There are those who say 'I am very Catholic, I always go to Mass, I belong to this and that association'," said the Pope during the impromptu sermon on Thursday, according to a Vatican Radio transcript. But, the pontiff added, these people “don't pay [their] employees proper salaries, exploit people, do dirty business, launder money… a double life. And so many Christians are like this, and these people scandalize others." “How many times have we heard – all of us, around the neighborhood and elsewhere – ‘but to be a Catholic like that, it’s better to be an atheist.’ It is that, scandal,” he added. Francis is consistent in telling Catholics – not only believers, but priests as well – to practice what they preach. He also blasted the sexual abuse of children by priests, saying that it was like a “Satanic Mass,” told his own cardinals to stop behaving like “princes” and warned the Catholics in the Italian mafia that they excommunicate themselves from the church. Last year, Francis criticized the “fakeness” of Christians, who speak of God, but do little to help those around them. "To be a Christian means to do: to do the will of God – and on the last day – because all of us we will have one -- that day what shall the Lord ask us? Will He say: 'What you have said about me?' No. He shall ask us about the things we did," he said."